Applications are invited for a PhD position in bioinformatics to join Technical University of Denmark, Denmark. Successful candidate will have funding to work and study for 3 years in Denmark. Applications should be sent before January 01, 2019. A PhD position is available in the 'T cells and Cancer' group headed by Professor Sine Reker Hadrup, DTU Nanotech, the Technical University of Denmark, Kgs. Lyngby. The 'T cell recognition and Cancer' group is currently consisting of 25-30 people, including Postdocs, PhD students, Technicians and undergraduate students. The overall aim of the research group is to gain novel insight to T cell recognition of cancer and autoimmune diseases, through use and development of novel technologies. Please submit your online application no later than1 January 2019 (local time). To apply, please open the link “Apply online”, fill out the online application form. The following must be attached in English: Candidates should have a two-year master’s degree (120 ECTS points) or a similar degree with an academic level equivalent to a two-year master’s degree.The scholarship for the PhD degree is subject to academic approval, and the candidate will be enrolled in one of the general degree programmes at DTU. For information about our enrolment requirements and the general planning of the PhD study programme, please see the DTU PhD Guide The assessment of the applicants will be made by professor, Sine Reker Hadrup.DTU is a leading technical university globally recognized for the excellence of its research, education, innovation and scientific advice. We offer a rewarding and challenging job in an international environment. We strive for academic excellence in an environment characterized by collegial respect and academic freedom tempered by responsibility.The appointment will be based on the collective agreement with the Danish Confederation of Professional Associations. The allowance will be agreed upon with the relevant union. The period of employment is 3 years.You can read more about career paths at DTU here Further information may be obtained from Professor Sine Reker Hadrup, sirha@dtu.dk Please submit your online application no later than. To apply, please open the link “Apply online”, fill out the online application form. The following must be attached in English Excel sheet with translation of grades to the Danish grading system (see guidelines andExcel spreadsheet here) Candidates may apply prior to obtaining their master’s degree, but cannot begin before having received it. 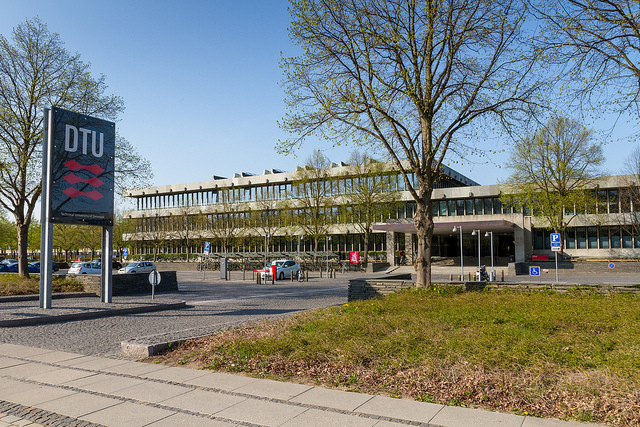 From January 2019, DTU Nanotech will cease to exist in its present form, and become part of a new department for Health Technology. With approximately 300 researchers from various departments, DTU Health Technology will be able to offer optimal conditions and facilities for health technology research. The aim is to become an international-class research platform capable of fostering new technology and new solutions that can improve the quality of patient care and public health and well-being.